Kibale National Park located in the Western part of Uganda is well known for shielding moist rain forests. The park adjoins with Queen Elizabeth National Park and is an eco-tourism and safari destination. It has the greatest number of chimpanzees which are 98.7% cousins of human beings and the main activity here is chimp tracking which takes between 2-5 hours and it’s enjoyable to be carried out in the morning hours. Kibale National Park is also gifted with other animals like; buffaloes, hippos, forest hogs, warthogs, lions, leopards alongside 335 species of birds. There are a total of 13 primates, the most grey vervet moneys, red tailed monkeys, L’Hoests monkeys, blue monkeys, grey checked, black and white monkeys and many others. 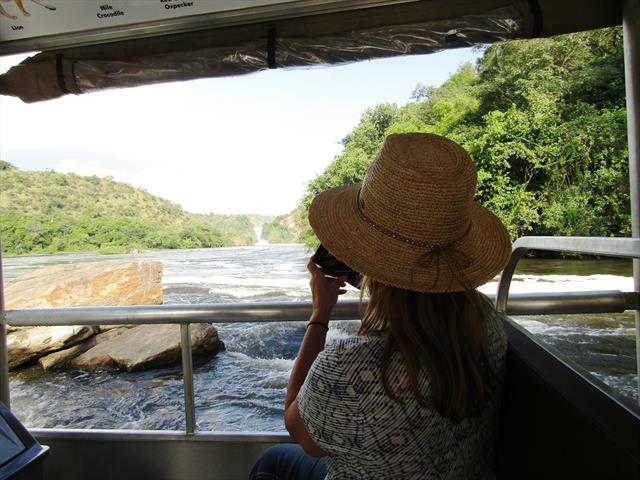 Day 1: Entebbe – Kibale National Park. Breakfast in the morning and our representative will pick up from your place of rest to the exciting Kibale Forest National Park for chimp tracking and bigodi wetland sanctuary safaris. We get to the park during lunch hours; we check-in, in our lodges, take lunch and proceed for bigodi walk around the villages for stories about the park from the local people. Dinner and over night at Primate Lodge/ Kibale Forest camp / Chimp nest (Full Board). Day 2: Chimp Trekking . Wake up for breakfast and set off for chimp tracking in the jungle rainforest. Sit quietly and listen to the great chimps cracking and the soft sweet sounds of the birds being heard in the air, this will take about 2-5hours. Besides the chimps, other primates like; Grey Vervet monkeys, Red tailed monkeys, L’Hoest’s monkey, Blue monkeys, Red colobus monkeys, Black and white monkeys, Mangabay monkeys, Olive baboons, Potto and many others may be seen with no other charges yet so enjoyable. Lunch at the lodge and after lunch, a visit at Bigodi wetlands sanctuary for a nature walk, birding and wildlife both mammals and birds in the setting. It will require good walking shoes since part of the walk will be muddy and some degree of fitness is also needed. Hopefully, you may be able to see the exclusive Sitatunga Antelopes and Shoebill stork. Dinner and over night at Primate Lodge/ Kibale Forest camp / Chimp nest (Full Board). Day 3: From Kibale – Entebbe. After breakfast, drive to Entebbe with a stopover for lunch, Proceed to Entebbe arrive in the late evening, check into the hotel waiting for your flight departure. Our Driver guide will drop you at the airport.